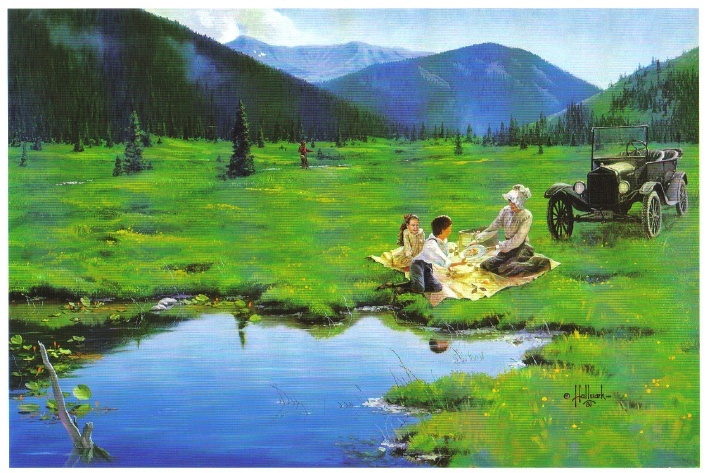 Ages ago, there were many Ute Indians who enjoyed life in Middle Park with its plentiful game and lush meadows. They lived in peace and harmony for "as many years as there are hairs on the head." In spite of this idyllic life, there was one young brave who yearned for more adventure and material goods. He proposed that the Utes attack the Sioux, who lived beyond the mountains on the plains of the rising sun. As victors, they would return in glory with much wealth and many captives. Spiquet Pah (Smoking Water) was an elderly medicine man who foresaw only grief in the prospect of such a war. He spoke before a council meeting, warning of the devastation that such an action would bring upon the tribe. He foretold " As the North Wind soon brings the snows and death of winter, so will he bring sorrow and death to our own people.....if you do this, strength and peace and plenty will be but for a few; joy will be seen no more." Disregarding his warning, most of the young men were tantalized with the temptation of the grand adventure of such a conquest. In the autumn of the year, when they usually did their hunting, the young men rallied behind the young brave and followed him over the Great Divide into combat with the plains people. As the fighters departed, a saddened Spiquet Pah went into the heart of the mountain "and pulled the hole in after him." 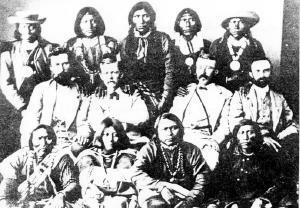 The young Ute men found the enemy better armed and organized than they expected. Many Ute braves were killed and others were taken as slaves. The prophecy had come true as starvation and disease plagued the tribe as there were too few men to hunt for food. The old man sat on his haunches beside his subterranean fire which he heated water from an underground stream. From the mountain at Hot Sulphur Springs, water flows even today as a reminder of the rash behavior of so long ago. Another legend holds simply that the Hot Sulphur Springs water acquired medicinal qualities in answer to the prayers of an old chief who has be left by his tribe to die. The old man built fires within the mountain, and after drinking the water and bathing in them, we was restored to health and rejoined his people. 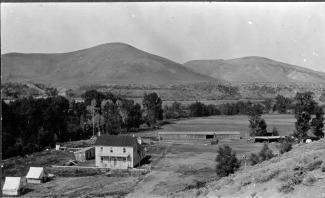 Once upon a time on the land that lies beneath Lake Granby and Shadow Mountain Lake there were ranches, pastures and an almost forgotten town, Monarch. It is a story that goes back 100 years to the Summer of 1905, and the arrival of train service in Middle Park and promoters who were "honest men, but too visionary and lacking in experience", according to Frank H. Wolcott, a brother of one of the founders. 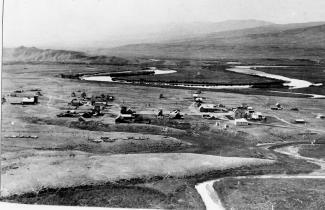 The Monarch Consolidated Gold and Copper Mining and Smelting Company owned the King and Queen copper mines on Arapahoe Range above the South Fork of the Colorado River. They felt their assays indicated ore worthy of a mill and arranged to haul in the heavy machinery and proceeded to build a town with cottages, a small hotel, stores, a bowling alley, theater and dance hall. By 1907 Monarch had a school and post office. However, records indicate only about $150 worth of copper per year was ever produced. Soon the promoters realized a sawmill was needed to provide both timber and cash to support the mine operation. A dam was built creating Monarch Lake at the junction of Arapahoe Creek and the South Fork of the Colorado, and a canal was built to float logs cut near Strawberry Lake to Monarch Lake. A stern wheel steamer bunted rafts of logs into flumes and canals towards the sawmill downstream in Monarch. In the spring of 1906, Monarch management obtained a charter to build the Rocky Mountain Railway, a standard gauge, for lumber and passengers, from the Moffat tracks in Granby to Grand Lake, with a spur over an unspecified pass to Walden, in North Park. The track was laid following the river from Granby to the sawmill, by Japanese and eastern European laborers. Ranchers along the route, excepting Fred and Frank Selak, quietly granted rights-of way. The only rolling stock owned by the railroad was a small, ancient locomotive and a caboose. The night before Thanksgiving 1906 the first train rolled into Monarch, and the rails never extended any farther. 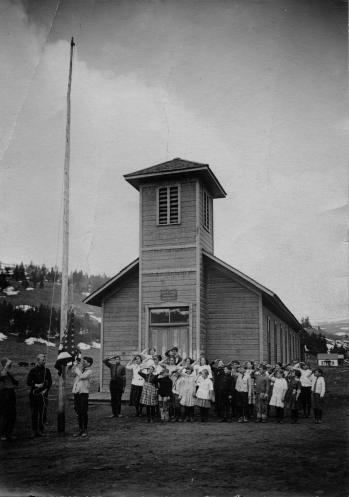 There was daily service, and local ranchers could flag a ride or have their packages dropped off. There were no cattle guards, so the fireman would step off the locomotive, open a ranch gate, and close the gate and hop back on after the train passed through. During the winter of 1905-06 a box factory was started. 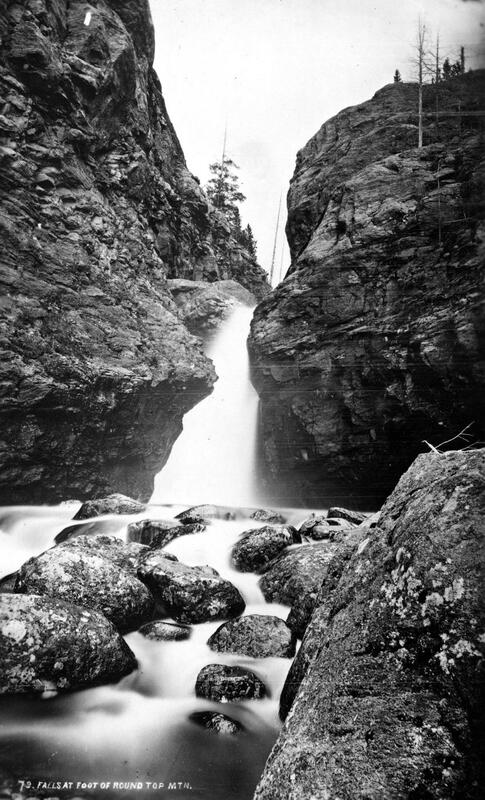 It operated briefly before it was destroyed by fire in the fall of 1908. The fire forced the mill and railroad into receivership. Visitors, particularly former stockholders, helped themselves to equipment and entire buildings, but Monarch's core was preserved and developed by Harry L. Dierks of Kansas City into KaRose. This summer resort was named in honor of Dierks' daughter Katharine Rose. Other Monarch buildings went to neighboring dude ranches and the bowling alley went to Granby. To hold the railroad right-of-way, Ernest Behr restored the locomotive in 1912 to carry parties of fishermen along the river from one pool to another. Ed McDonald, a dude rancher, ran a Cadillac touring car on flanged wheels on the rails to carry mail, supplies, and passengers to the valley ranches. Just before World War I the engine and rails were sold for scrap. Frank H. Wolcott wrote, "In September 1954 my wife and I drove over the site to discover any signs of Monarch or the railroad...It gave us a queer feeling to realize that substantial things like railroads and buildings that we helped build have vanished. Was it all a dream?" 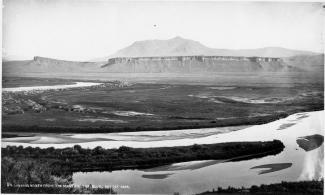 Onahu Creek was called Fish Creek and is a tributary of the North Fork of the Colorado River. The name refers to one of the Indian race horses who came up to a campfire to warm himself, and the name means “warms himself“. The horse ultimately died on Fish Creek and gave his name to the waterway. Grand County is home to the headwaters of the famed Colorado River — the river that brings water to five other arid Western states. Water is the lifeblood of semi-arid Colorado and Grand County is one of the most water-rich areas of Colorado, and yet faces a shortage due to historical water agreements, written long before population pressures and the environmental awareness of the current age. On average, the water diversion projects in the county move a whopping 305,000 acre-feet per year from the Fraser, Colorado and Williams Fork rivers — all headwaters of the Colorado's main stem. 60 percent of the water in Grand County is diverted elsewhere and there are plans underway, mostly from Front Range communities, to divert as much as 80 percent of the county's headwaters by the year 2010. Two of the main water utilities, Denver Water and the Northern Colorado Water Conservancy District face a quandary: how to take the water from Grand County without further damaging the delicate environment and the region's economy, which is fueled by tourists who expect to play in the very water the Front Range wants to take.